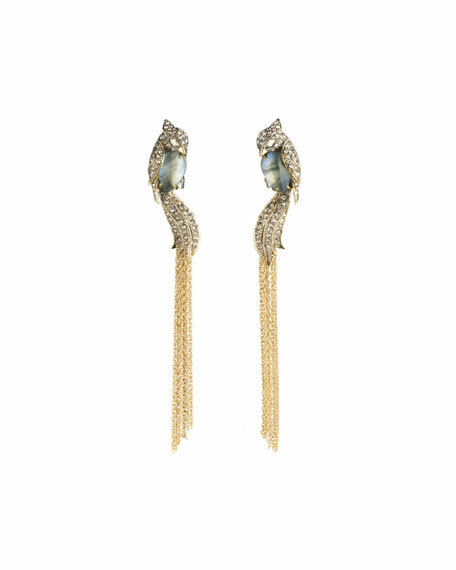 Alexis Bittar "Lovebirds" tassel earrings. Yellow golden and silvertone brass hardware. 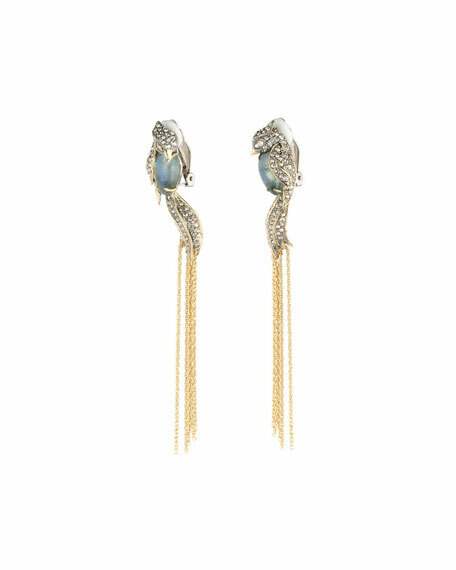 Bird-shaped posts with labradorite center. Swarovski® crystal pavé with tassel drop. For in-store inquiries, use sku #2574137.